When I checked my Lunch Box series, I was surprised it’s been a long time since I posted anything under it. Truth be said, most of the dishes I post are my lunch box dishes. However I like the dishes to be presented in a certain manner for me to call it that. This delicious Soya Chunk Pulao along with a Pakodi made with Sorakaya / Bottle Gourd, was such a treat for lunch time in office. I had packed the pakodis in a separate box and mixed it just before eating. 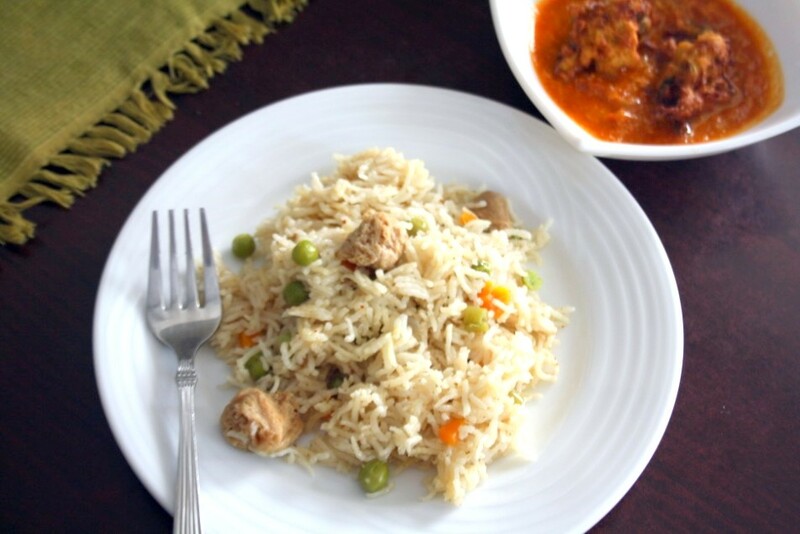 The Soya Chunk pulao was mild enough to be packed for your kid’s lunch box, though the curry was very spicy. It’s holiday for the boys and we have ran out of ideas to keep them occupied. While Konda’s exams are yet to begin. I am eagerly looking at activities that can keep the boys occupied and not get Athamma crazy. Maybe getting couple of colouring books, handwriting books should help. I know their handwriting can actually meet Kashmir with Kanyakumari. Wash and soak the basmati rice for 15 mins. Once done, drain it on a colander. Boil the Soya Chunks in hot water along with salt till the water starts rolling stage. Drain the soya in a colander and keep it aside. Heat a pressure cooker, add the ghee, saute whole spices for couple of minutes. Then add the onion julienne, slit green chilies till the onions turn colour. Next goes the chopped vegetables, mix everything well. Then add boiled soya chunks, drained rice, garam masala. Add salt, 1 & 1/2 cup water and cook for a whistle. Once the pressure falls, remove and serve with Sorakaya Pakodi Curry. Will be posting the curry in the next post. pulav looks so good..i made briyani out of soya chunks, they cam out so good..i am yet to post it.. 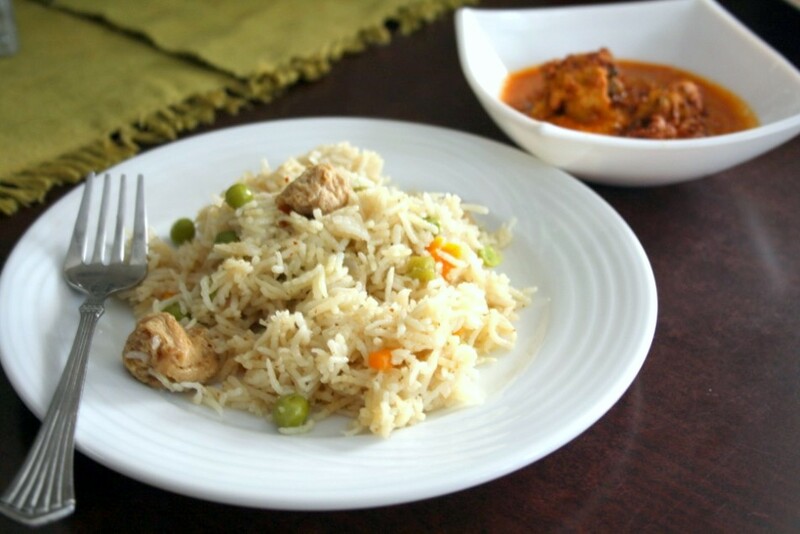 Healthy recipe…rice looks absolutely yummy. very new 2 me..looks yumm n delicious too…. Absolutely love this recipe and pics. This pulav looks tasty!! Yum!! it looks so very good and yummy!…easy to make too for those busy weekday night dinner! good one ! nice rice of soya chunks.